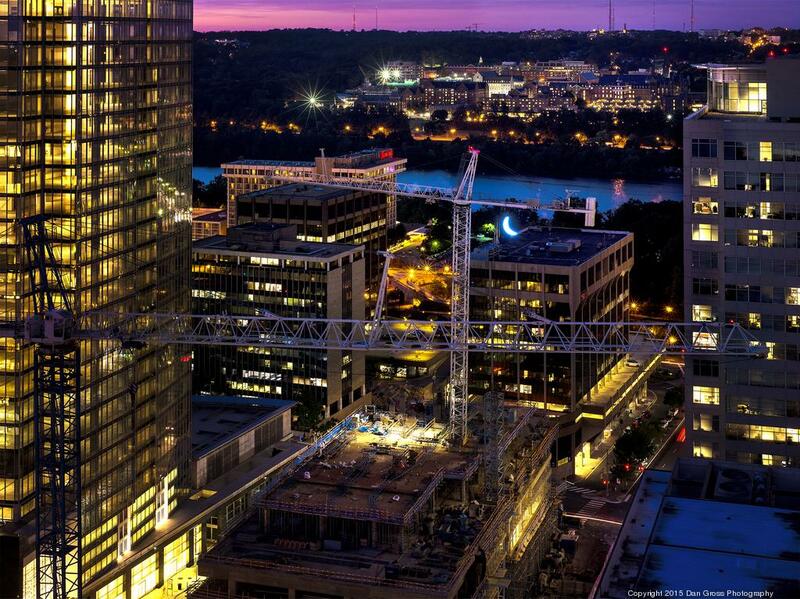 We built and deployed a user login system for JBG Smith to control a large LED moon fixture hanging on a crane using any mobile, tablet, or desktop device. Custom Prop Shop, LLC. 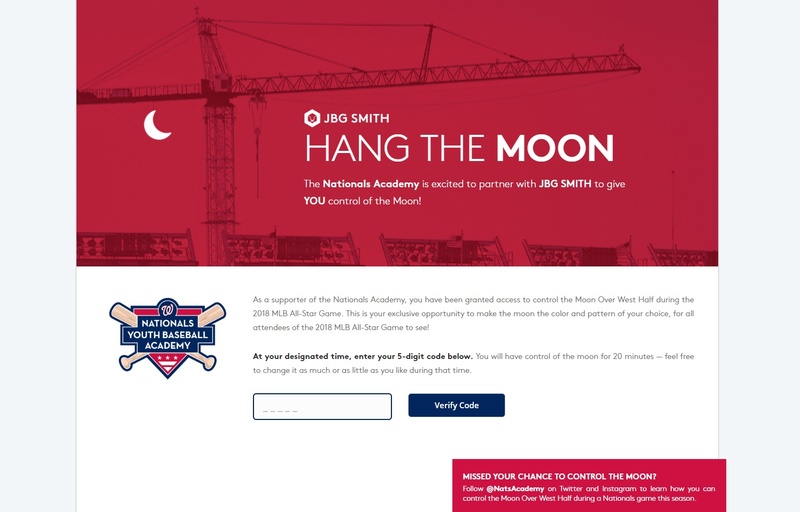 in Los Angeles fabricates custom commissions for clients, and was hired by JBG Smith to hang a 250-pound, 10' tall moon from a construction crane outside of Washington Nationals Park as a promotional element for the MLB 2018 All-Star Game. We partnered with Custom Prop Shop, LLC. to help them setup the user interface to control the moon lights, changing the color and pattern using a dedicated website via mobile, tablet, or desktop devices. 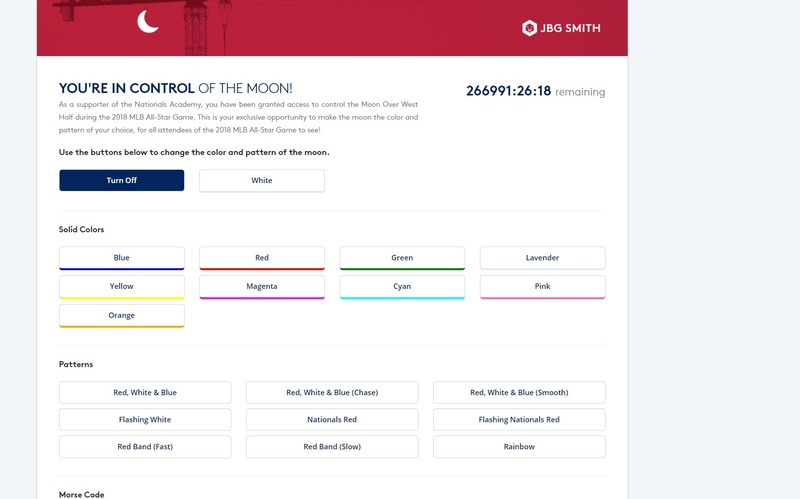 During the game, we assigned 20-minute slots with unique access codes to allow people to login and control the moon in real-time. These access codes and all lighting cue commands to the moon were secured via a tokenization process, over a secure VPN to a CueServer placed on the crane near the LED unit. It was quite a spectacle to see, recognized by the Washington Business Journal and other news stations alike, with JBG Smith challenging players to #HitItToTheMoon. We look forward to continuing to improve upon the installation and see it light up the skyline over other Nationals games this season.